According to a statement issued by management of the capital market regulator, it took this step following complaints from some investors. 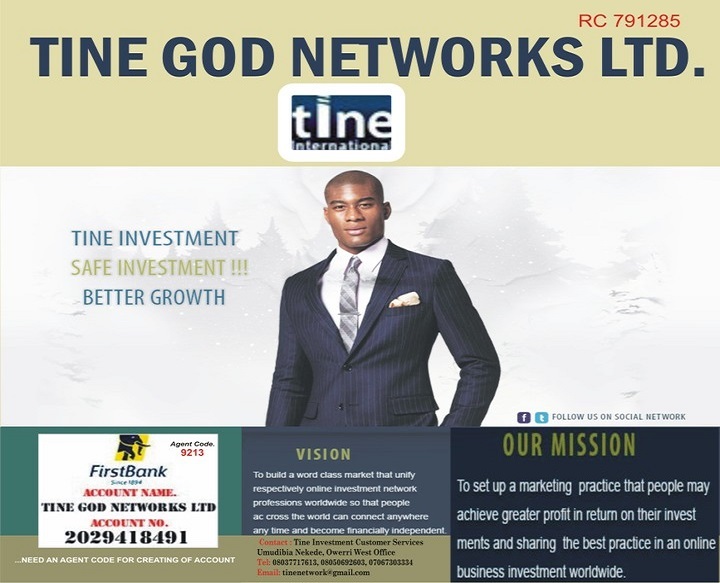 It was gathered that Tine God Networks Limited claims to be an investment company that engages in business development in commercial sectors of the economy and also issues bonds to raise funds for its investment activities. But upon investigations, it was discovered that the firm does not have the required licence to carry out these duties or registered by the Nigerian government. Consequently, SEC swooped in to protest investments of unsuspecting investors and sealed off the company. While SEC’s Lagos office is at 3, Idejo Street, Opposite ICON House, Off Adeola Odeku Street, Victoria Island, that of Port Harcourt is located on 31 Woji road, GRA Phase 2. I only just wondered why these idiots young school leavers would just open one stupid blog to carry fake news to destroy other people’s company in the name of accumulating AdSense money. Business post dot ng you called it. Government has a lot to do on you fake bloggers.